CFR-a unique compound containing Carbon Fiber creates transverse rigidity in the drive belt offering an abrasion-resistant sidewall for maximum belt life under adverse conditions. Flexten-a patented aramid cord minimizes stretch, creating a drive belt with stable length under load. 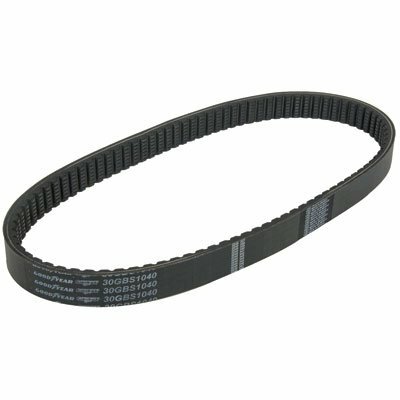 This gives the Continental Elite Sport CVT Drive Belt the dimensional stability to carry horsepower while maintaining less stretch over the life of the belt. The Elite Sport CVT Drive Belt, with its required top width, length and sidewall has been designed to maximize performance in the pulley. Modifications to the original equipment of the ATV (e.g. clutches and oversize tires) may cause loads or system conditions that change and adversely affect the performance of the CVT drive belt system.